Sony just got finished announcing its interesting and slightly goofy QX lenses, detachable camera modules that use your Android smartphone as a frame/control center/viewfinder, at IFA. 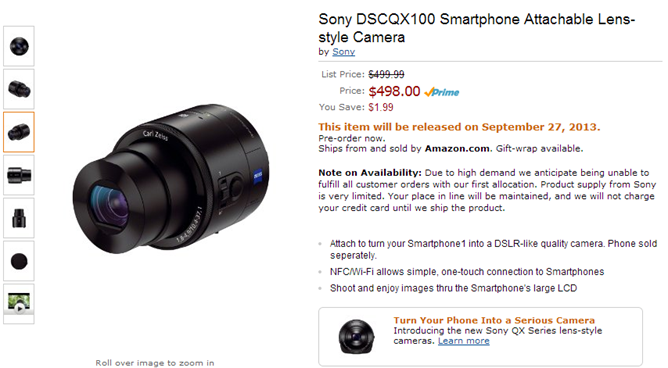 But Amazon beat them to the punch: even before the announcement, Sony Alpha Rumors spotted the QX100 and cheaper QX10 on the ubiquitous retailer. They're available for pre-order now and set to ship on September 27th. The DSC-QX100 is the hero device of this new category, with a 1-inch, 20.2MP sensor, F/1.8 lens, a 3.6x optical zoom, and a manual focus and zoom ring. It's going for $500 (or $498, with a $1.99 savings on Amazon plus Prime shipping). 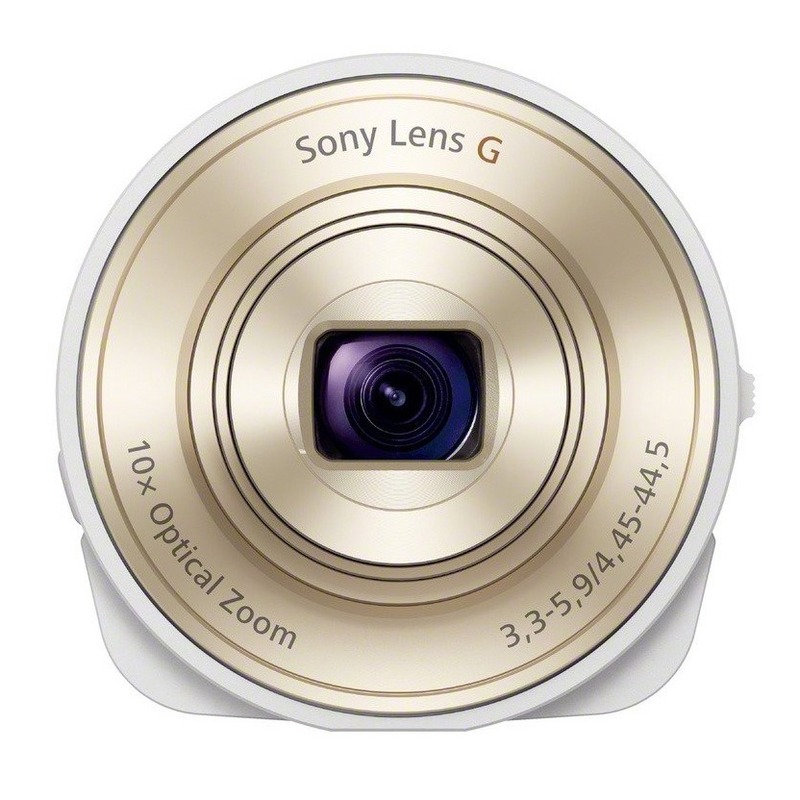 The DSC-QX10 is more budget-friendly at $250, but downgrades to an 18.2MP sensor and a much slower F/3.3 lens. The cheaper lens makes up for it with a 10x optical zoom. It's going for $248 on Amazon in both black and white colors. The QX lenses will work with any Android device running 3.1 or later, but a few hardware drawbacks will keep them out of the pockets of serious shutterbugs. There's no way to manually assign important settings like ISO or shutter speed, and the battery life seems to be predictably low. Check out David's rundown in the announcement post for full details. Even so, it's an interesting concept, and we look forward to checking these gadgets out in more detail later.